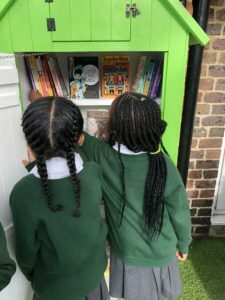 The London Children’s Book Project work with settings across the capital to redistribute thousands of new and gently used books to children and their families. 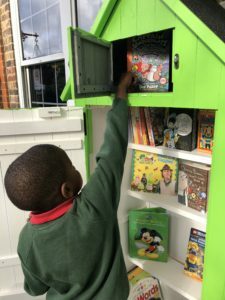 Hollydale was very lucky to receive a book hut for autumn term. 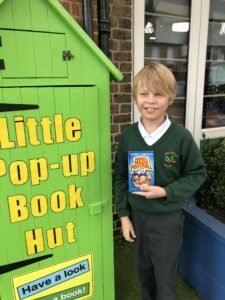 The hut came packed with a range of books for the children to take home. 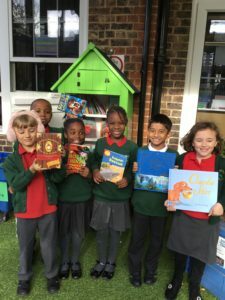 Thank you to The London Children’s Book Project for helping us raise the profile of reading at our school and giving our pupils the joy of owning their own book.